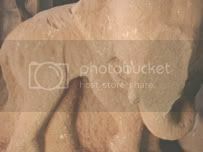 27 July 2007 (Thanh Nien News) – Excavations at an ancient Cham complex in Quang Nam province have unearthed sandstone statuary, including two pieces depicting elephants. Several relics dating back to the ninth century have been unearthed this week at an ancient Cham monument complex in Vietnamâ€™s central Quang Nam province. Archaeologists from the Quang Nam Center for Heritage and Relics Preservation found two elephant statues and one of a man on a horse, all made of sandstone and over a meter tall. Some relief figures, consisting of shapes carved on a surface, and decorative objects were also found during the excavation that began two weeks ago at the Khuong My monument complex in Nui Thanh district. Tran Anh, director of the center, said the search for antiques would continue on the site spread over 4,300 square meters for the next three months. The excavations are being done as part of work to restore the sanctuary by year-end at a cost of VND8 billion (US$500,000). The Cham, an Indic civilization, flourished between the 2nd and 17th centuries. 27 July 2007 (Vietnam Net Bridge) – Archaeologists have managed to patch the remains and identify a Dong Son drum (previously mentioned in this site here). The drum belongs to an associated set of artefacts dating some 3,000 years old. The story mentions that the drum has a steel handle and I think this is highly unlikely to be an accurate description of the drum. 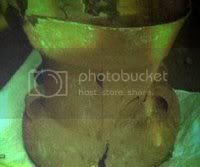 Archeologists have patched up and identified ancient bronze drum pieces recently discovered in Krong Pach district in Dak Lak province as part of a Heger Classificationâ€™s Type 1 drum. The drum is about 50.5 cm high and 63 cm across with designs engraved all over the body part. The flat-shaped handle is made of steel of 6 cm in width and 8.5 cm in length. In the area where the drum was unearthed, archeologists also found several iron and bronze tools as well as ancient ceramic pieces. 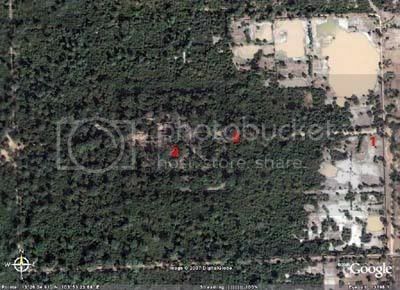 According to experts, the area might have been an ancient burial ground where dead bodies were buried in bronze drums. 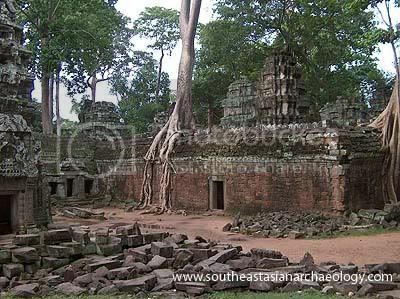 Similar tombs have been discovered in the Central Highlands province of Dak Lak. Besides the bronze drum, many artifacts dating back to 3,000 years ago have also been found in Krong Pack district. Archeologists suggest that there is a link between the province and the ancient Dong Son culture. 26 July 2007 (People’s Daily) – Cambodia’s Apsara Authority, which oversees the management of the Angkor Archaeological Park, shuts down a golf course being built by South Korean company. The course is near the Western Baray (reservoir). 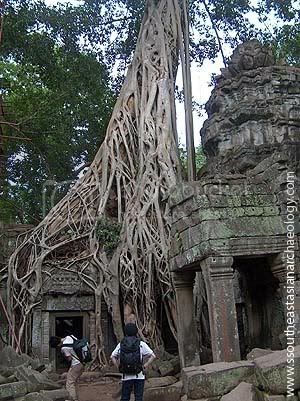 South Korea is the largest source of tourism visits to Siem Reap. The Apsara Authority in Siem Reap province of Cambodia has ordered a South Korean company to stop constructing a golf course, alleging that it was being built illegally inside the Angkor Archaeological Park, local media reported Thursday. 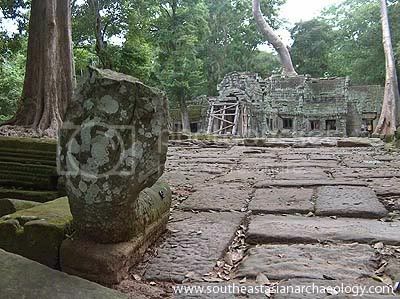 An unidentified South Korean company recently began building a golf course on land near the Western Baray, a large reservoir located west of the Angkor Wat and Angkor Thom temples that is considered an integral part of the temple complex, the Cambodia Daily newspaper quoted Apsara Deputy Director Dom Hak as saying. 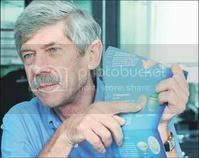 “I found there are some buildings and a site for a golf course being built inside the land of the Apsara Authority near the Baray Region. 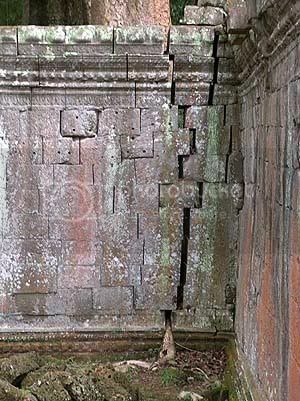 They built with no permission from Apsara at all,” Dom Hak said. It is illegal to build such a site in this area, he said, adding that he ordered the project to be scrapped earlier this month.